83 total news articles in this section, 10 per page. On December 19th, the Institute for Global Labour and Human Rights posted an article on their website accusing Hasbro of poor working conditions and less than adequate pay for workers at the Jet Fair Factory in China. The article can be read here. In a press release last week, Hasbro addressed the claims of dire working conditions in their Jet Fair Factory stating they have taken the allegations very seriously. They deployed a team to work with I.C.T.I (International Council of Toy Industries) to examine the conditions of the facility. After an unannounced, nine hour inspection, both Hasbro and the I.C.T.I. determined the facility met "Hasbro's rigorous requirements." The press statement goes on to say "While Hasbro is committed to continual improvement in all facets of corporate social responsibility, including continued ethical product manufacturing at Jet Fair and all factories that produce Hasbro products, the inflammatory allegations made by the NGO in their report were unsubstantiated by our investigation. As a matter of course, Hasbro will continue to monitor conditions at Jet Fair and all of our factories." "Thank you for checking in with us on this matter. Hasbro takes all claims involving working conditions very seriously, and we are immediately investigating. The Company has a strong track record and has had long-standing policies and processes in place for years to help ensure good working conditions, including health and safety, at factories making our products. We strive to conduct business throughout our supply chain in accordance with the highest ethical standards, and we utilize not only ICTI-- but also our own on-the-ground workforce-- to monitor social compliance. For more information about Hasbro’s comprehensive corporate social responsibility (CSR) activities, including more detail regarding Hasbro’s policies and practices related to ethical product manufacturing, please visit Hasbro.com/csr." That is correct. Hasbro has taken legal action against computer company ASUS over their use of the name Transformer Prime. With all the potential intellectual property slights against parent company Hasbro, who would have thought it would be a computer that brings down the hammer? ASUS has named their converting laptop tablet PC Transformer Prime. Hasbro announced it will "aggressively protect its brands and products". Theverge.com reported the action stating:"The toymaker is no doubt worried that the name could be confused with that of its Transformers franchise, not to mention Optimus Prime, the lead protagonist of the animation and film series... though we're not quite sure how a robot that transforms into a semi truck could be confused with a tablet and detachable keyboard. Perhaps Hasbro is worried that tablet buyers might see it as a licensed product." 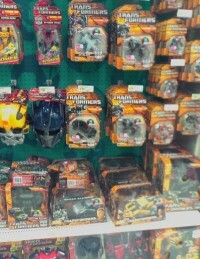 Is this an indication that Hasbro feels companies are flying fast and loose with the Transformers brand? Check out these articles here and here and join the discussion already under way in the forums. Here is a picture of the offender. Not what I would have guessed. Here is a Happy Holidays greeting from Hasbro starring your favorite building block toy stars. Click the link below to view the video. December 14th, 2011 – San Diego, CA — IDW Publishing and comiXology proudly announce the expansion of their digital partnership. Starting today, these IDW apps are now powered by comiXology: IDW Comics, Transformers Comics, Star Trek Comics, Doctor Who Comics, G.I. JOE Comics, 30 Days of Night Comics, Templesmith Comics and True Blood Comics Collection. All apps are live as of today, with new and old purchases alike syncing across the entire Comics by comiXology platform — iOS, Android, Web and Kindle Fire. In addition, all IDW digital comics are also available for online purchases and reading through the simultaneous launch of a new digital comics store at read.idwpublishing.com. IDW readers now have a true “buy once, read anywhere” experience. As the first comics publisher to launch its own "in app purchase" storefronts for the Apple iPad™, iPhone® and iPod touch®, IDW has long been a leader in the digital comics space —having their own IDW branded application along with introducing several unique apps catering to fans of particular titles. The IDW Comics app offers the complete digital catalog, while IDW’s apps for special series like TRANSFORMERS Comics, G.I. JOE Comics, Star Trek Comics, True Blood Comics Collection and Doctor Who Comics and most recently 30 Days of Night Comics app offer those specific comics for those specific brands. IDW also released the first creator-based app, Templesmith Comics, featuring the art and stories of Ben Templesmith. In addition, IDW Publishing has committed to a full same day as print release schedule, a first for the company. All new digital comics will be offered at full cover price. This past October, during the New York Comic Con, IDW Publishing and comiXology announced that IDW’s library would be coming to the Comics by comiXology platform. Today’s announcement marks a new chapter in the relationship between both companies. The addition last month of IDW Publishing titles to the Comics by comiXology helped lift comiXology’s same-day-as-print offering over the 50% threshold, signaling a sea change in the comic book publishing landscape and making Comics by comiXology the destination for all consumers wanting to discover and read the latest and greatest comic books in digital format. All comiXology platforms feature the company’s Guided View™ Technology, enabling the reader to transition smoothly between different comic panels, mimicking the reading experience of a traditional print comic book. Purchases of comics through the IDW apps or the Comics by comiXology app will be available to read across top platforms and devices, including Apple® iOS, Android and the Kindle Fire, or on the Web at read.idwpublishing.com or comixology.com. Since 2007 comiXology has been developing the technological infrastructure to bring comics into the digital mainstream and expose new audiences to the rich history and culture of the industry. Through partnerships with top comic book publishers including Archaia Entertainment, BOOM! Studios, DC Comics, Dynamite Entertainment, IDW Publishing, Image Comics and Marvel Comics as well as their own Comics by comiXology mobile and web apps which host over 16,000 digital titles, comiXology has become a leader in digital comic book proliferation. Also focused on creating strong ties with retail stores through its technology solutions, comiXology continues to transform the previously fragmented comic ecosystem into a vibrant and cohesive marketplace. Hasbro is certainly getting into the Holiday Spirit. Karen Davis, Vice President Of Community Relations for Hasbro was on "Today" with Kathie Lee where she revealed that Hasbro will be donating $150,000 worth of toys to the Today Shows' 18 Annual Toy Drive. Included in the toys that Hasbro will donate are Kreo Transformers sets, My Little Pony and many others. You can see the video from "Today" here. We just received the following press release form our friends at Shout! 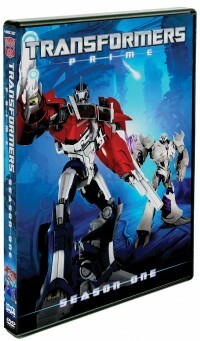 Factory, Transformers Prime season one is coming to Blu-ray and DVD. The Blu-ray collection is priced at $64.99 SRP, and the deluxe 4-DVD set is sold separately at a suggested retail price of $29.93 SRP. Both are scheduled for release on March 6th. Each set also comes packed with a 96 page graphic novel. In the ongoing effort to continue its goal to adhere to the 2010 Corporate Social Responsibility Report, HASBRO (NASDAQ HAS) has announced its plans to eliminate polyvinyl chloride (PVC) from all new core toy and game packaging beginning in the year 2013. Eliminating the use of PVC has already begun in some packaging and the toy maker states that it should be PVC free by 2013. "At a time when consumers have an abundance of choices, we hope our track record of innovation and corporate citizenship — including our focus on sustainable packaging and product safety — will give shoppers one more reason to choose our products during the holiday season and throughout the year," said Brian Goldner , Hasbro's president and chief executive officer. * Elimination of Wire Ties: In 2010, Hasbro replaced all wire ties in its packages with ties made from paper rattan or bamboo mix to reduce environmental impact. The effort eliminated approximately 34,000 miles of wire ties — more than enough to wrap around the circumference of the Earth. * Increase in Recycled Content: In 2010, Hasbro set a goal to derive at least 75 percent of paper and board packaging from recycled material, or from sources that practice sustainable forest management, by 2011. 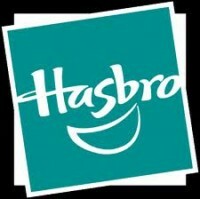 By 2015, Hasbro plans to increase that goal to 90 percent. * New Sourcing of Paper: Hasbro outlined an aggressive paper sourcing policy in 2011, providing guidelines for suppliers regarding sustainable paper sourcing to help ensure that paper used in Hasbro products aligns with the company's commitment to environmental sustainability. Among the policy's key requirements is the expectation that suppliers will source paper with as much post-consumer recycled content as practical and financially viable. The company has communicated the policy to its suppliers, and has made it a part of its company-wide quality assurance procedures. I know some of you wish they did the wire tie change BEFORE Armada Unicron was released. You can check out the complete press release by clicking here. Thanks for choosing Seibertron.com, your Ultimate Transformers Resource! 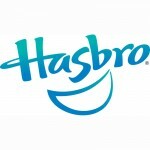 Posted by: First Gen | Credit(s): Business Wire, HASBRO INC.
From a press release issued today via Hasbro (HAS NYSE), the company has announced a quarterly cash dividend of $0.30 per common share. The dividend will be payable on February 15, 2012 to shareholders of record at the close of business on February 1, 2012. During the tenure of the Transformers movie trilogy and the release of the live action G.I. JOE movie, dividends maintained an average payout of $0.20 per common share. With the increase in payout per share, speculation of a possible fourth film for the Transformers movieverse and the upcoming release of G.I. JOE 2, things are looking good for the toy maker. Check out the full press release via Business Wire here. Thanks for choosing Seibertron.com, your Ultimate Transformers Resource. 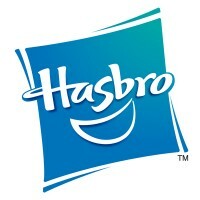 We are very happy to welcome back Hasbro Canada to TFcon 2012. Hasbro will be presenting a new product preview and question panel on upcoming Transformers products and answering your submitted questions. Attendees will also have the chance to talk to Hasbro reps in person, one-on-one as they show off the latest releases for Transformers toys. Resort World at Sentosa has posted the image of the Transformers The Ride Evac statue at its Facebook page. 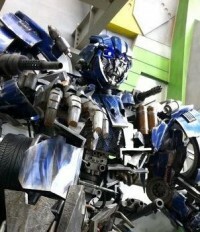 Evac is a newly created Autobot character specially for the Transformers The Ride. The Ride is set to open this coming Saturday, 3rd December 2011 at Universal Studios Singapore at Sentosa .